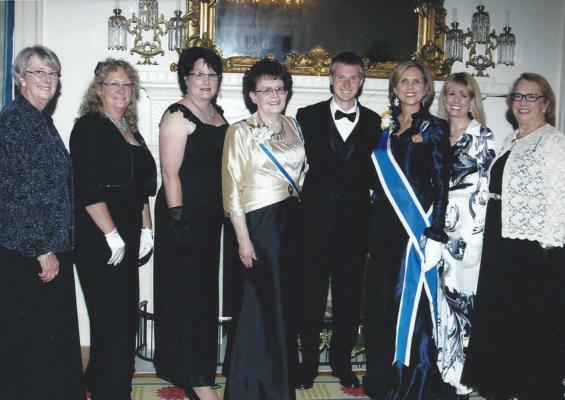 For over 110 years, the Harrisburg Chapter Daughters of the American Revolution has helped to preserve the memories and history of the Patriots of the Revolutionary War who fought against all odds for the freedom for the people of a new nation. Through various projects the Harrisburg Chapter has continued the legacy of past Daughters to acknowledge the patriotism of our troops and veterans; to perpetuate the history of our founding fathers; and to educate future generations for posterity. Vietnam Veteran "Welcome Home" Event - June 5, 2016 with Central PA Honor Bus at Messiah College. l-r: Mary Lou Evans, PSSDAR Chair DAR Service for Veterans Kathleen Zinskie, PSSDAR Regent Bobbi McMullen, Lisa Lugovich , Emily Biddle, Jerilynn Millvan, Dian Tedesco, Sue Skelly, Karen Stauffer. DAR Service for Veterans Outstanding Youth Volunteer National award winner Mitchell Wirth. l-r: Karen Stauffer, Harrisburg Chapter and Wirth sponsor/nominator; Lisa Lugovich , Harrisburg Chapter DAR Service for Veterans chairman; Kathleen Zinskie, PSSDAR Service for Veterans Chairman; Bobbi McMullen, PSSDAR State Regent; Mitchell Wirth; Lynn Forney Young, NSDAR President General; Susan Earing, NSDAR Service for Veterans Chairman; Deborah Hershey, First Vice Regent, Harrisburg Chapter. Mitchell's volunteer service record was submitted by the Harrisburg Chapter and his award was presented at the 2014 Continental Congress. Supporting our veterans and active duty personnel by participating in such projects as Bingo at Lebanon VA Medical Center, Central PA Honor Bus, Wreaths Across America, Chaplain's Closet at Landstuhl Medical Center, Germany and providing toiletries and other comfort items. Hosting a reception for newly sworn in Americans at the County Naturalization Court and providing flags for new citizens four times a year in County and Federal Naturalization Court. Dauphin County Naturalization Court - September 2016. New citizens pose with Harris Ferry Chapter SAR Secretary Clay Dawson and Harrisburg Chapter DAR 2nd Vice Regent Margaret Lee-Williams. 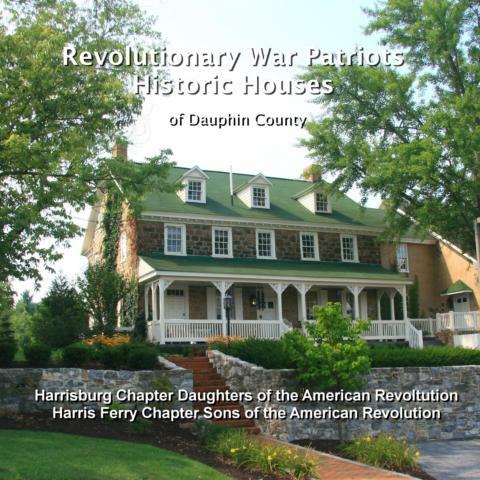 We have recently Produced a publication Revolutionary War Patriots' Historic Houses of Dauphin County, Pennsylvania in a joint effort with the Harris Ferry Chapter Sons of the American Revolution (SAR). The 91-page hard cover color book featured 60 houses and buildings once owned or resided in by 97 men who supported and fought for American Independence during the Revolutionary War. The book delves into the history of the men and their properties, and the importance of preserving these historic treasures for future generations.The story of early Dauphin County history is incorporated in the 18 th century and early 19 th century historic buildings still standing today. Sponsoring the “DAR Scholarship Program"
Sponsoring the "American History Essay Contest"